First i try autodetect MQTT server, but failed . On MyController server your have to enable mcc.mdns.service.enable=true on mycontroller.properties and stop and start. No success , still no AP . FACTORY_RESET_PIN_STATE should be either 0 or 1. When you press the button, If your pin(FACTORY_RESET_PIN) connects on GND, Then you have to enter 0, otherwise 1. Yes, Sometimes I see this error when we use mDNS enabled on ESP device. This error happens on mDNS library. Anyway, now ESP is connected to my home wireless , i forced ip of mqtt, because discover does not work correctly, and , i dont see anything with mqtt. So i decided to fully reinstall mycontroller , to understand where i am wrong . Ok now i installed lasted git version. MyController seem to be interesting, but, very hard to get it work ... for me . Is there somewhere any video ? to explain how it work with example and sample. I am sorry for this. Right now we do not have any videos. I will update a video when I get time. Thank you for your valuable feedback. I am very sad : nothing appear in node and sensor. So i was completly wrong about thinking autodiscover node with MQTT ? I have to add manually all node and sensors ? Or my arduino sketch does not contain good command to put it in mycontroller ? MyController does not see anything ... Arrghhh , going to be mad !!! ID Client have to set to esp_client , but esp client is ESP_8C0125 ? inverting in_esp and out_esp does not change anything ? @Stephan35 Sorry for the inconvenience caused. I believe you are using built in MQTT broker. What is your MyController local IP? Is it 192.168.0.25? What is your MyController local IP? Is it 192.168.0.25? 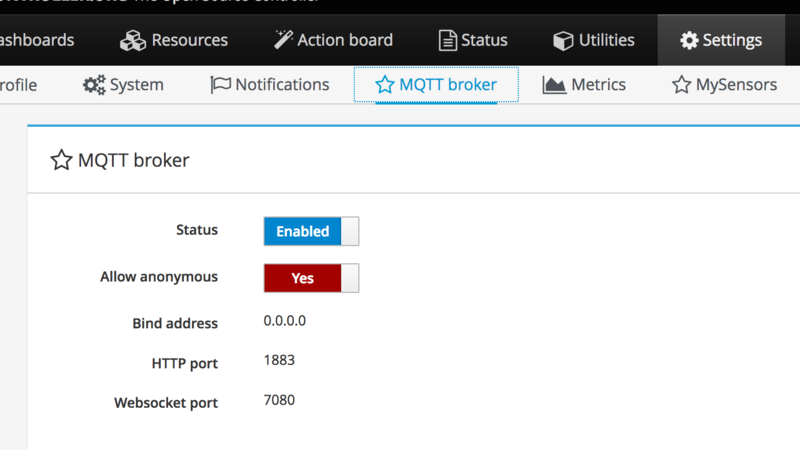 believe you are using built in MQTT broker. 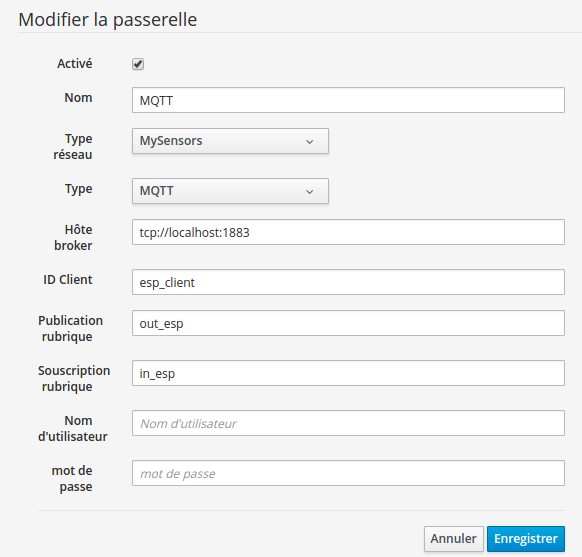 Because i have installed mosquitto also , do MyController have it self mqtt broker ? AND SHOULD IT WORK ALONE ??? Also , I have so solve install from github to get last version as your . Yes, MyController has built in broker. No need to install any external brokers like mosquitto. If you want to use an external broker. Kindly disable internal (inbuilt) broker first. You can download most recent version from here. From your post picture, I see you have selected MySensors as a network. Which is wrong. Select MyController as a network type. Here is some good news !!! We can see that MyController is in the list ! Now , i have to test and learn to send data , like temperature or lighmeter .